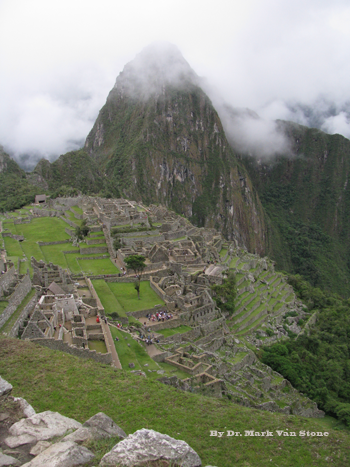 We are writing the first HD Interactive Book for iPad on Machu Picchu for the benefit of kids of all ages. Please Pledge NOW! No charge is made to your credit/debit card unless we raise the full amount! UPDATE: April 2, 2012: Hi Everyone! Thank you so much for the interest in our project! While you're here, please make a pledge to the campaign or we are not going to make this dream a reality! Making a pledge is easy. Just follow the link, enter in the information and then you're set. If you pledge $25 or more, you've pre-ordered a copy of this great book AND you're guaranteed your name in it when it's developed. Now how cool is that? If we don't make the goal, the project does not get funded and you are charged nothing! In 1912, American Archeologist Hiram Bingham raised $20,000 to make an historic expedition to Machu Picchu, the "Lost city of the Incas" he had “re-discovered” in the heart of Peru's Andes mountains the year before. His exploration brought about the most significant archeological find in South America and now is listed as one of the "New Seven Wonders of the World." Bingham's team of explorers packed mules with the day's best cameras, camping gear, food packs and machetes, and they braved the depths of the unexplored, thick jungle, crossing the raging Urubamba River with its swift rapids, ascending the mountainous precipices with 2,000-foot drop-offs--and did we mention venomous snakes--to reach a long-abandoned city that time had forgotten. Exactly 100 years later, we are raising funds for a new and exciting, historic expedition to commemorate the incredible work of Hiram Bingham and to use today's technology to produce the most extensive Interactive Book for the iPad on Machu Picchu. We are going to capture that same spirit of discovery and make it available to everyone in a way that has NEVER been done before. What Is An Interactive Book? Reading our Interactive Book on an iPad would be like sitting in one of those big domed movie theaters and watching the movie they'd show you, but instead you're holding the screen. It's like holding your window of opportunity in your lap and being able to turn that window in any direction and explore the mystery and mystique of what is Machu Picchu. Think of seeing a spinning 3-D animation that helps you understand how they knew when it was a seasonal equinox, or seeing hi-res photographs of their ancient buildings with such a high number of pixels your eyes can't tell if it's right there in front of you or not. Think about being able to read vibrant descriptions of the Temple of the Three Windows and then tap and display HD videos, high-res 360° photos, interactive charts and graphs like you were actually standing there in Peru! And what if you wanted to highlight text and take notes within the book? Yeah, you can do that, too! Through our window of opportunity millions of people around the world will be able to see many of the incredible sights Hiram Bingham observed and attempted to share with us 100 years ago but could not because of the limits of technology. Out of our great thirst for adventure and mystery, we selected Machu Picchu, which archeologists believe was built around 1438 AD, because it truly is one of the most remarkable places on Earth. We also want to give honor of the incredible adventures of Hiram Bingham and his crew 100 years ago this year. With the power of 360° high-def video and photography, we will give our Interactive Book readers the sense that comes only from being in the jungle of the Andes--minus the threat of venomous snakes! We will share the sounds of the raging Urubamba River, the views from Machu Picchu and the iconic mountain in its background known as Huayna Picchu, and we will seek to show the sacred aspects of the burial caves around the historic site. With interactive graphics we will be able to demonstrate how the ancients at Machu Picchu covered the roofs of their houses, demonstrate their exquisite stonework and the high-tech engineering they used to lock the door to their city and its clan groups. The Wonders Expedition™ began in Dec. 2011 out of recognition of the fascinating nature of more than 250 Wonders of the World. We are digging deep into the wonders and mysteries of life on this planet. We feed the instinctive desire buried in each of us to know why and what and how; We plant dreams of wonder and exploration in the young at heart all over the world. We have a team of experienced authors, editors, publishers, marketers, photographers, and graphic artists who have years of experience telling great stories and creating great works of art. And through our interactive process of rewards, you, too, can be a part of the developmental process of our book. That's just one more thing about this effort that makes it so exciting and so rewarding. When this book is done, your name will be in it and you will be able to tell anyone you know, "I helped write history that will be read for a very long time to come!" In June/July 2012, we will send the team to Peru to photograph and explore the site with some of the most renowned archeologists and historians we can find and assemble HD videos, hi-res photographs, and begin to write, design and build the materials to make OUR book on Machu Picchu the one you will be proud to also have your name in. Forever. Remember, Kickstarter is an all-or-nothing deal, so we ask you to encourage your friends and loved ones, and family members, to support our historic undertaking. Now is the time to help us be the first to the market with an Interactive Book that will have your name in it and maybe be read by someone another 700 years in the future. How cool is that to think about?! Funds raised beyond the goal will go toward additional features and the initial production of our next books in the series, including The Colosseum, The Great Wall of China, Stonehenge, the Great Pyramid of Giza and the home of the Anasazi Indians of North America in Chaco Canyon, NM. Thank you so much for reading about The Wonders Expedition™ and for your offer of support. If you cannot support us for Machu Picchu or are interested in helping us work on other sites, please go to our Website or find us at @Archeoastronomy on Twitter. We’ll follow back and then we can DM about ways to work together on other projects. SCOUT LEVEL: We will mail you a The Wonders Expedition™ thank you postcard signed by the staff; On our special TheWondersExpedition.com Machu Picchu Interactive Book pages, we will include your name as a $10 Kickstarter contributor to our project. TRAILBLAZER LEVEL: One free download of the Interactive Book for the iPad a week before its general release to the public and your name will be included on the donor’s page at the end of the book. You’ll be given one vote for your choice on the three final comps of the book cover; On our special TheWondersExpedition.com Machu Picchu pages, we will include your name as a $25 Kickstarter contributor; Your name will be added to the official The Wonders Expedition Machu Picchu Book Development Mailing List for updates on progress of the release; You will received two Special Access Passes to The Wonders Expedition’s Time Capsule Webinar productions with Archeologists, Egyptologists & Archeoastronomers. PIONEER LEVEL: We will send you an official The Wonders Expedition Machu Picchu Expedition T-Shirt (Add $10 for international shipping!) We will provide you with two free downloads of the book; We will mail you an exclusive, staff-signed, The Wonders Expedition Machu Picchu thank you postcard officially postmarked from SerPost in Cusco, Peru; On our special TheWondersExpedition.com MachuPicchu Interactive Book pages, we will include your name as a $50 Kickstarter contributor. EXPLORER LEVEL: We will send you an exclusive companion mini book of HD, hi-res gallery photos and video of Machu Picchu—Stuff that would not fit in the book! Inclusion of your name in the sponsor's credits at the end of the book; You’ll get an invite to our Dallas-based Machu Picchu Interactive Book Release Premier Party in early fall 2012; On our special TheWondersExpedition.com Machu Picchu Interactive Book page, we will include your name as a $100 Kickstarter contributor; Five Special Access Passes to The Wonders Expedition’s Time Capsule Webinar productions. PROSPECTOR LEVEL: One copy of The Wonders Expedition Machu Picchu official 24” x 36” poster; Join our Website editorial board and play a role in the development of content about Wonders sites around the world; On our special TheWondersExpedition.com Machu Picchu Interactive Book pages, we will include your name as a $500 Kickstarter contributor. GLOBETROTTER LEVEL: Exclusive staff autographed The Wonders Expedition Machu Picchu 24” x 36” poster; The Wonders Expedition branded, one-of-a-kind “Clock in a Can”; On our special TheWondersExpedition.com Machu Picchu Interactive Book pages, we will include your name and photograph as a $1,000 Kickstarter contributor; Eight special access passes to The Wonders Expedition’s Time Capsule Webinar productions. ADVENTURER LEVEL: Exclusive framed & staff autographed The Wonders Expedition Machu Picchu 24” x 36” poster; Inclusion of your name and photograph in the sponsorship credits at the end of the book; We will issue a social media news release naming you as a $5,000 Kickstarter contributor, include your name and photo in a special blog post, and issue the release to DFW media and your local news outlets; On our special TheWondersExpedition.com Machu Picchu Interactive Book pages, we will include your name and photograph as a $5,000 Kickstarter contributor; Life-time, non-transferrable special access passes to The Wonders Expedition’s Time Capsule Webinar productions. DISCOVERER LEVEL: Exclusive listing on a special thank you page at the beginning of the book; Inclusion of your *500-word epilogue and photo at the end of the book about the importance of sites like Machu Picchu; For a corporate-level backer, we will place your logo on our Website's sponsors page during production and for three months following the release of the book; We will issue a social media news release naming you as the exclusive $10,000 Kickstarter contributor, post it on our blog, and issue the release to DFW media and your local news outlets; On our special TheWondersExpedition.com Machu Picchu Interactive Book pages, we will include your name and photograph as the exclusive $10,0000 Kickstarter contributor; We will reserve first right of refusal for you to be an exclusive $10,000 sponsor for one of the sites for the second series of books on The Colosseum, The Great Wall of China, Stonehenge, the Great Pyramid of Giza and Chaco Canyon, NM.